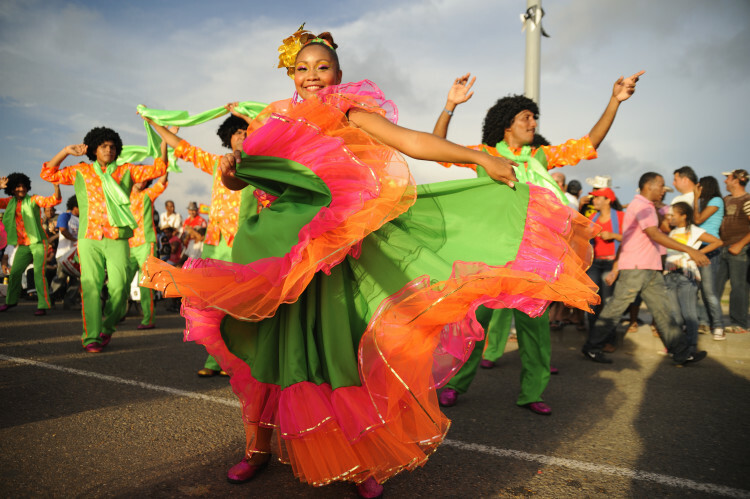 In early February expect to see streets around the world burst into life and color as Carnival celebrations ignite. Witness the parades and masquerades, the music and mayhem that take over the town in this multi-day last-chance opportunity to celebrate with abandon before the pious 40 days of Lent begin. Today, celebrated in Europe, the Americas, the Caribbean, and even Goa, India, Carnival takes many faces and forms with Rio’s Carnaval and New Orleans’ Mardi Gras stealing the share of the attention around this age-old fete. 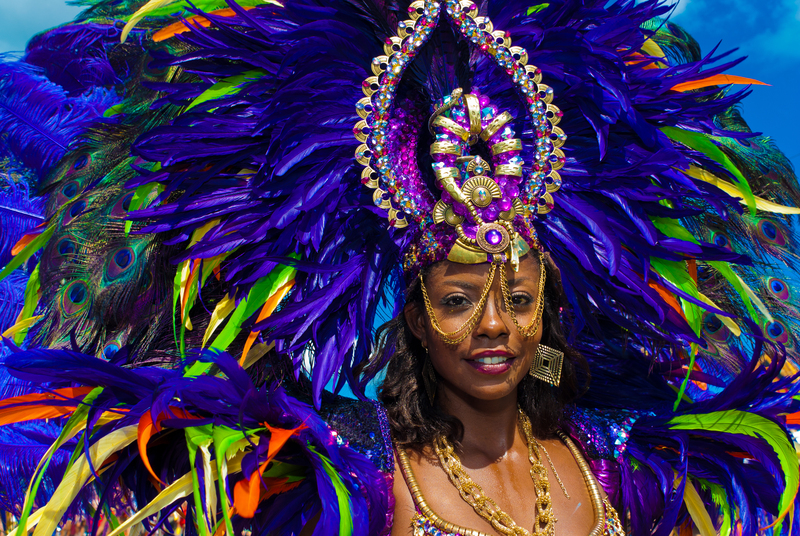 Perhaps lost in the samba beats and flying beads are these five lesser known, yet no less worthy Carnival celebrations around the world. They say that when Trinidad & Tobago aren’t celebrating Carnival, they’re preparing for it. It is the celebration of the year for these islanders, if not the entire Caribbean. Culminating in a wild two-day, non-stop party the Monday and Tuesday before Ash Wednesday, Carnival in Port of Spain transforms the city into an electric scene, buzzing with steelpan bands, calypso and soca music, elaborate costumes and masquerade parades while endless food and drink vendors line the streets to keep revelers fueled and revving, serving up delicious Trinidadian staples like curry crab, pelau and local rums. The party starts in the early hours of Monday morning in what’s known as J’Ouvert where partiers take to the streets in devil costume, known as “Jab Jabs”, or paint themselves and each other in oil, mud, and cocoa. The idea is to let go of every inhibition, get dirty, and celebrate with full, reckless abandon. Whether you’re playing mas or wining on the sidelines, the party is open to all, foreigners and locals alike. All-inclusive parties abound until Tuesday when the official holiday comes to a close and the unofficial celebrations begin on the beach. Crowds flock, B.Y.O.B.-style for huge day-long parties on Ash Wednesday. 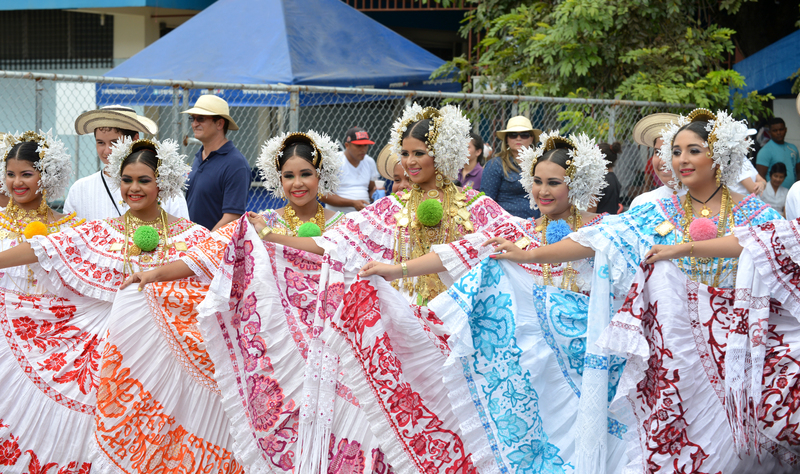 Head to Maracas Beach and Manzanilla Beach for some of the most popular seaside celebrations. 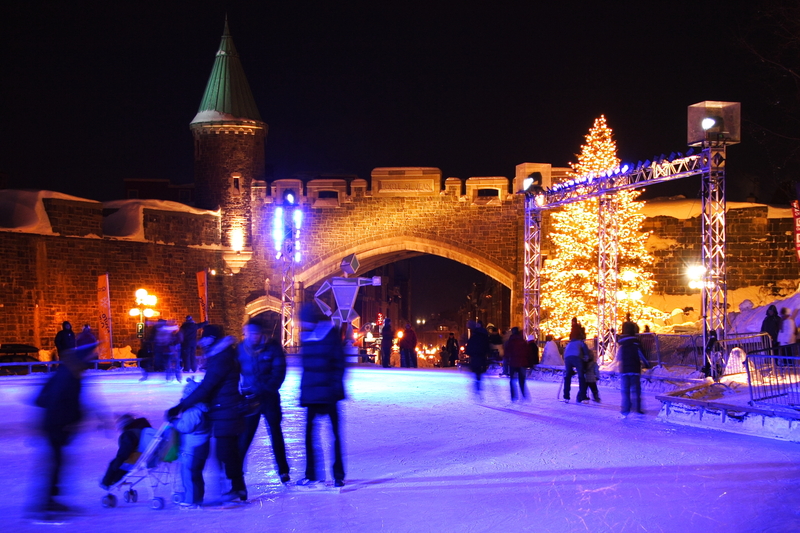 Despite the promise of below freezing temperatures, Quebec City has managed to attract hundreds of thousands of visitors to their Winter Carnival for over 60 years now. Whereas many Carnival celebrations are contained to the four or so days before Lent, the Quebec Winter Carnival lasts 17 days and there are plenty of activities to fill each one of them. As tradition goes, the Carnival’s mascot Bonhomme rules over the festivities, enforcing laughter, dancing, and “la joie de vivre.” Masquerade balls in grand ballrooms fill the evenings alongside night parades. Outdoor sporting events and snow sculpture competitions occupy the days. The Plains of Abraham become the main setting for Carnival. There you can find some of the best sweet treats of the occasion including maple sugar strips at a traditional maple sugar shack (Cabane a Sucre), a must-have. Fresh, hot maple syrup is poured directly onto the snow until it freezes into a delicious candy strip where you can then mold it with a wooden stick into whatever shape you wish. To keep warm, sip on Caribou, a hot alcoholic beverage composed of red wine, whisky, and maple syrup or sugar. Or don’t stay warm and instead strip to nothing but your bathing suit for the annual snow bath with Bonhomme. And don’t miss the highly competitive ice canoe race across the St. Lawrence River, that, at this time of year, becomes a challenging patchwork of slush, ice floes and chunks of snow as large as your car. In case early February is too soon to plan a trip, Moscow holds an extraordinary and time-honored festival in March called Maslenitsa. The celebration dates back to Russia’s pagan past but today has become an intrinsic part of the Orthodox Christian prelude to Great Lent. Once known for it’s drunken bear fights (yes, bear!) and comedic performances, Maslenitsa is now known for the endless variety of blini, those thin pancakes drowned in butter and topped with everything from mushrooms and caviar to jam and sugar. Local cafes and restaurants throughout Moscow prepare special Maslenitsa menus full of every type and combination of pancake you can possibly imagine. Between bites of blini, explore the snow sculpture competitions or take a horse-drawn sleigh ride through town. Observe the traditional group fistfights said to be a commemoration of Russian military history when soldiers would participate in hand-to-hand combat. 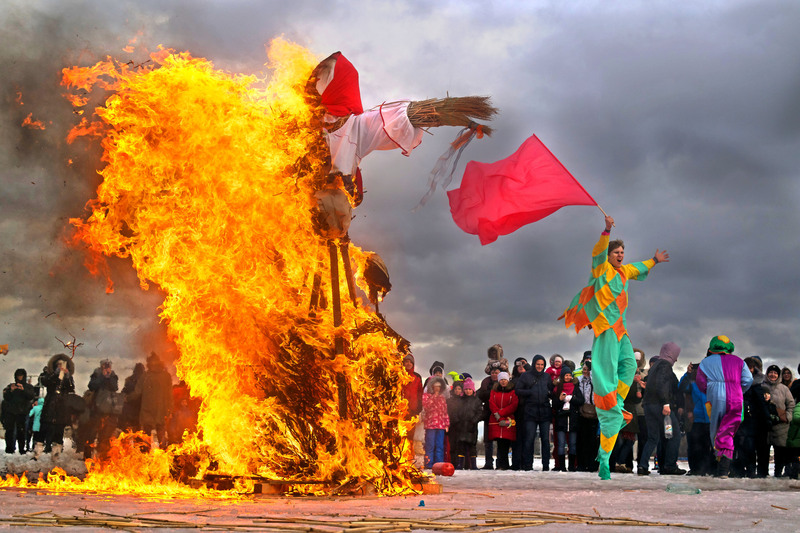 The week comes to a close with the burning of Lady Maslenitsa, a straw figure dressed in old women’s clothing meant to represent winter. Her burning marks the end of winter and the onset of spring, sunshine, and hopefully plenty of bountiful harvests. 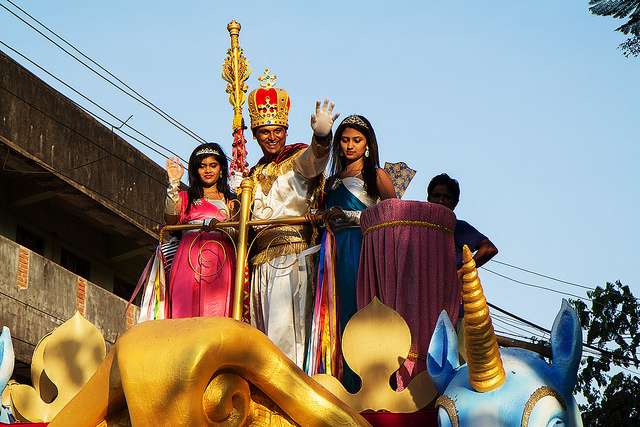 India may not be the first place to come to mind when you consider where to celebrate Carnival but the streets of Goa do indeed come alive and on a grand scale in the week leading up to Lent. Portuguese Christians introduced this coastal state to Carnival back when Goa was a Portuguese colony half a century ago. Over time, local Hindu influences have helped to shape Goa’s Carnival, (called “Intruz” by locals) into a truly unique celebration. Panaji, Goa’s capital, is host to some of the largest celebrations. Each year, a King Momo is named to lead the festivities across the state, setting the party into motion in a riotous blaze of color and costume, music and dance. Grand balls take place each evening, including the famous Red and Black dance organized by the Club National in Panaji. One of the biggest Carnival celebrations in Panama happens about 130 miles west of Panama City in the normally sleepy town of Las Tablas. During the week of Carnival, the population swells from 10,000 to more than 100,000. 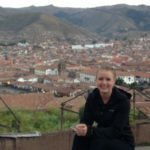 The city splits into two competing factions, “Calle Arriba” and “Calle Abajo.” Essentially, a battle between the upper and lower streets of Las Tablas. For the duration of the festivities each faction attempts to out-celebrate the other with loud displays of fireworks, parades, water canons, music, games, concerts, and more. Women don polleras, Panama’s national costume. People drink, dance, and parade in the streets around the clock for three straight days. Oh you can try Apokries ( the carnival ) every March in Greece .